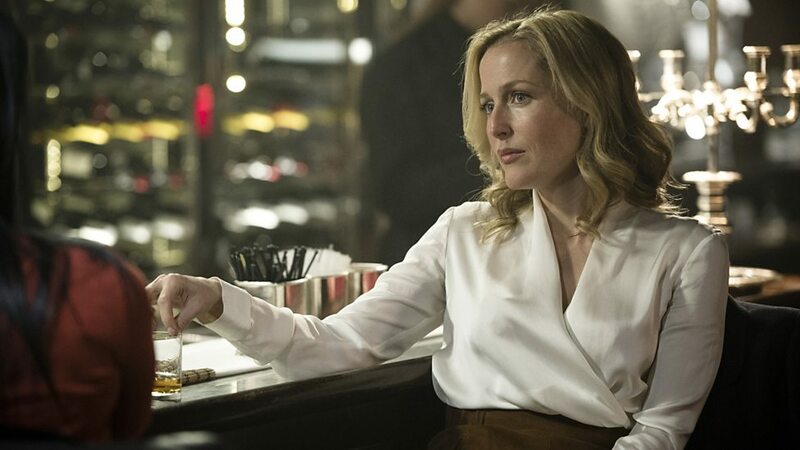 On British psychological thriller The Fall, show lead Stella Gibson was introduced as a Detective Superintendent in London’s Metropolitan Police when she arrived in Belfast to conduct a twenty-eight day review into a murder case that had stalled and provided no suspects. Gibson is portrayed as a very capable detective and a woman who’s highly comfortable with her own sexuality. In the second season, Stella became personally close with female Professor Tanya Reed Smith, an esteemed medical professional and the senior pathologist assigned to her new case. While they were having drinks in a bar, Stella kissed Reed to drive away a man that tries to hit on her. Later they were flirting while waiting for an elevator back to Stella’s room and Reed asked what they are doing, to which Stella answered “going with the flow”. Reed got cold feet and ended the encounter. The two women are portrayed by Archie Panjabi and Gillian Anderson.